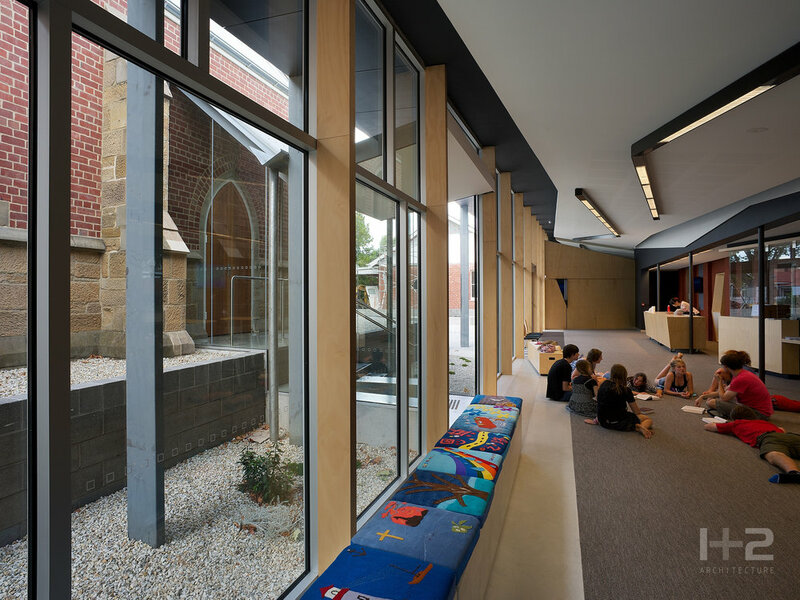 The Wellspring Anglican Church is a community project that seeks to reconcile the architectural requirements of 21st century church ministry. This has required an architectural response that is reflective of the contemporary church’s engagement with its community while preserving and reinvigorating past and continuing traditions. A highly consultative design and approvals process, considered adaptive re-use and sensitive intervention has enabled the growing church to continue operating in the location it has occupied for nearly 100 years, maintaining a significant cultural and community benefit. The new building is a purposeful departure from the formal architectural qualities of the existing heritage buildings, which are visually heavy, inwardly focussed and disconnected from each other. The new building rests in the spaces between the existing, linking all buildings under one light-filled canopy with an openness and transparency in keeping with the churches contemporary ethos. The form, scale and massing is intentionally subservient in relation to the existing buildings. 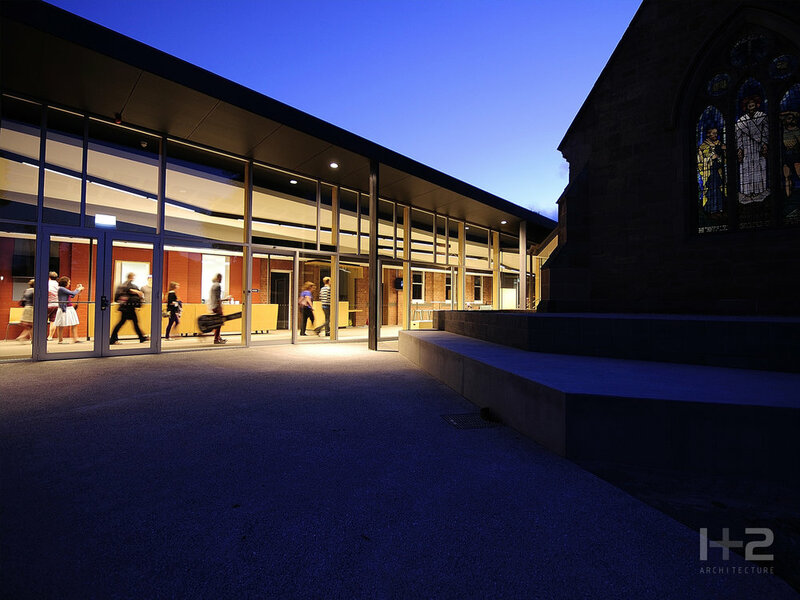 It provides a range of community facilities including meeting and activity spaces, offices, commercial food premises and a new 270 seat auditorium to compliment the historic chapel. Spaces have been crafted to serve the users and their place in a contemporary manner while creating harmony with the significant heritage values of the existing buildings.